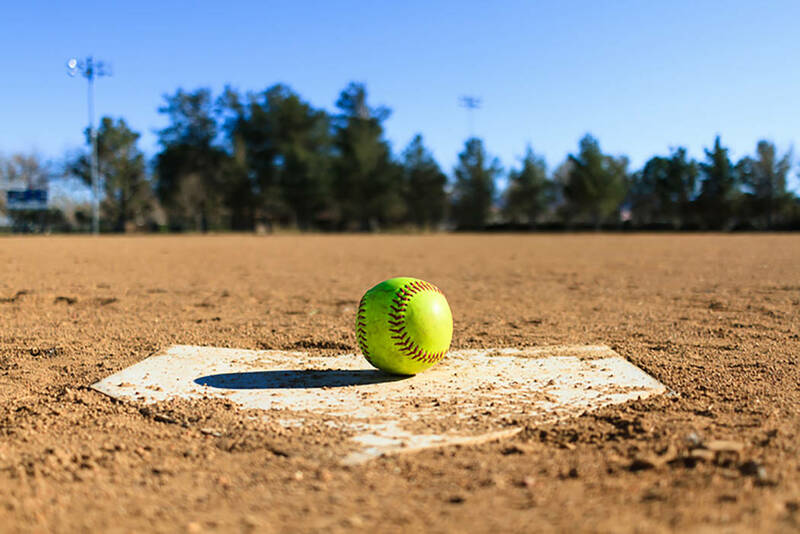 Denise Armendariz hit a two-out, full-count, go-ahead RBI single in the sixth inning to send UNLV past first-place Colorado State 6-5 in a Mountain West softball game Friday in Fort Collins, Colorado. Mia Trejo went 3-for-3 with a three-run triple in a five-run fourth for the Rebels (27-9, 8-4), who overcame a 5-0 deficit. The Rams (29-6, 11-2), who lost for the first time in 15 home games this season, scored all of their runs in a seven-hit third inning, highlighted by Tara Shadowen’s two-run double and triples by Ashley Michelena and Corina Gamboa. Breana Burke (7-3) relieved UNLV starter Jenny Bressler with two outs in the third and blanked Colorado State the rest of the way on three hits and two walks. She struck out three, as did Bressler, who was charged with five runs on seven hits and two walks. Justine Federe went 3-for-4 with an RBI and scored twice, and Myranda Bueno hit two doubles for the Rebels, who held a 14-10 edge in hits. Michelena, Amber Nelson and Lauren Buchanan each had two hits for the Rams, who have lost two straight one-run games after a program-record 20-game win streak. At Wilson Stadium, Blake Berry went 3-for-5 with two doubles and three RBIs, including a go-ahead two-run double in the seventh inning, to lead San Jose State to a 7-3 victory over the Rebels. Kellen Strahm homered, doubled and scored three runs for the Spartans (18-16, 12-4 Mountain West), who won for the fourth time in five games and halted a three-game win streak by UNLV (20-16, 7-9). Rebels starter Cameron Jabara allowed two runs on seven hits and one walk and struck out three over five innings. Bradley Spooner (1-2) entered in the sixth and was charged with four runs on five hits and one walk in one-plus innings. Bryson Stott hit two doubles, and Dillon Johnson and Edarian Williams each also went 2-for-4 for UNLV, which lost two one-run games at San Jose State in mid-March. Spartans starter Andrew Mitchel (3-4) allowed three runs on seven hits and five walks and struck out nine over six innings. Nicholas Morales pitched a perfect seventh and eighth, with two strikeouts, and Fineas Del Bonta-Smith allowed one hit and one walk in a scoreless ninth. Nico Marlbrough went 2-for-4 with an RBI for San Jose State, which held a 13-8 edge in hits. At Phoenix, senior Harry Hall shot even-par 142 through two rounds in The Thunderbird Collegiate to lead the Rebels, who shot 14-over 582 and were 13th in the 14-team field, 27 strokes behind pace-setting Arizona State entering the final round. Hall was tied for 19th in the 80-golfer field, which was led by Arizona State junior Chun An Yun by four strokes at 9-under 133. For the Rebels, sophomore Jack Trent was tied for 45th at 4-over 146, junior Justin Kim was tied for 65th at 8-over 150, and junior Justin Chong was 79th at 16-over 158. Freshman Chris Ebster, playing as an individual, was tied for 60th at 7-over 149. Arizona State, ranked second nationally, was at 13-under 555, nine shots clear of the field. Next were No. 7 Texas at 4-under 564, No. 1 Oklahoma State at 3-under 565 and No. 25 Baylor at 2-under 566. UCLA was tied with Arizona State’s B team at 1-under 567. At Albuquerque, N.M., Dominic West won at No. 2 singles and was part of a No. 2 doubles victory to lead New Mexico past the Rebels 4-0 for the Lobos’ sixth straight victory. New Mexico (10-6, 5-0 Mountain West) won the three completed singles matches in straight sets. Freshman Milos Dabic was the lone player for UNLV (13-6, 2-3) to win a set, taking the first at 7-5 at No. 5 singles before the match was halted in the second. Dabic and Richard Solberg lost 7-5 at No. 3 doubles.